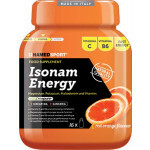 ​Isonam Energy is formulated with Mineral salts, Vitamins, Maltodextrin, Creatine and Ginseng. It is designed as an isotonic drink to take before and during exercise or competition. Dissolve 30 g of product (1 scoop and a half) in 500 ml of water, obtaining a solution of carbohydrates and electrolytes, and take it before, during and post training. 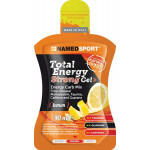 ​High-energy gel formulated with Maltodextrin with added Caffeine, Taurine and Guarana. Take 1 mopack per day, before or during workout. 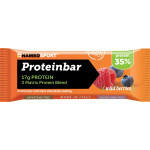 ​Energy-rich gel formulated with Maltodextrin, Dextrose and Fructose, featuring Sodium and Potassium. Take 2 mopacks per day, before or during workout. ​Guarana Super Strong shot is an energy food suplement from Guarana, Magnesium and Vitamins, perfect to enhance performance in endurance sports. Guarana has an invigorating and energising effect. Magnesium works on the muscle functions, enhances the protein synthesis while contrasting tiredness. Vitamin B6 helps reduce fatigue, while Vitamin C protects cells from oxidative stress whilst Pantothenic Acid enhances brain performances. Take 1 vial (25 ml) per day. Shake before usage. ​Energy gel created from simple and complex carbohydrates with different release, with D-Ribose and low GI Isomaltulose PalatinoseTM, providing energy in a continuous and gradual way. With 50mg of caffeine, this gel delivers an instant mental boost and is ideal to take at the final stage of a race or during a prolonged training session.Usage: Take 1 mopack (equal to 25 ml) per day, immediately before or during training. 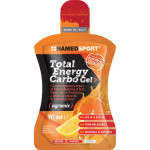 Energy gel created from simple and complex carbohydrates with different release, with D-Ribose and low GI Isomaltulose PalatinoseTM, providing energy in a continuous and gradual way. 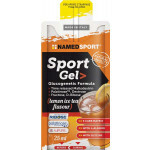 With 50mg of caffeine, this gel delivers an instant mental boost and is ideal to take at the final stage of a race or during a prolonged training session. 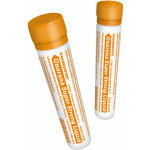 Usage: ​Take 1 mopack (equal to 25 ml) per day, immediately before or during training. ​HydraFit is an exclusive blend of mineral salts, maltodextrin and vitamins that has been specially created into a hypotonic electrolyte drink. (Osmolarity 190 mOsm/l). HydraFit> is the ideal solution for replacing the mineral salts lost by the body due to excessive sweating during intense exercise. Magnesium and potassium proper muscle functions and reduce the effects of fatigue. Usage: Dissolve 20 g of powder (equal to 2 tablespoons), which represents 1 ration of product, in 500 ml of water. Best take from 50 to 100 ml at regular intervals of about 15-20 minutes. Take 3 portions per day, equal to 60 g.